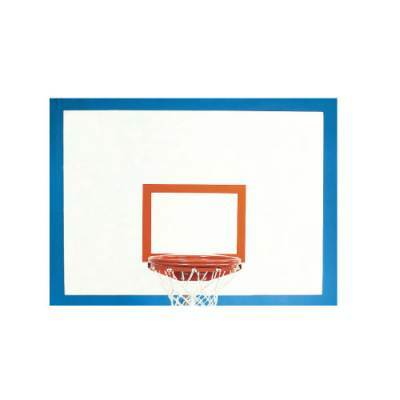 The Bison Ultimate Rectangular Steel Basketball Backboard is a playground favorite. Measuirng 42"x60" the backboard has a 5"x5" goal-mounting pattern and standard 20"x35" mounting brackets that enable the Bison Ultimate to attach to any current fan-shaped ceiling or wall-mounted structure. Safety rolled edges eliminate sharp edges and help to increase rigidity. The board is finished with a regulation orange shooter's square and has excellent rebounding characteristics. White graffiti-resistant powder-coat finish with 12-gauge skin and 7-gauge steel support. Designed for Bison Ultimate Pole structures but will fit most manufacturers' outdoor pole systems.